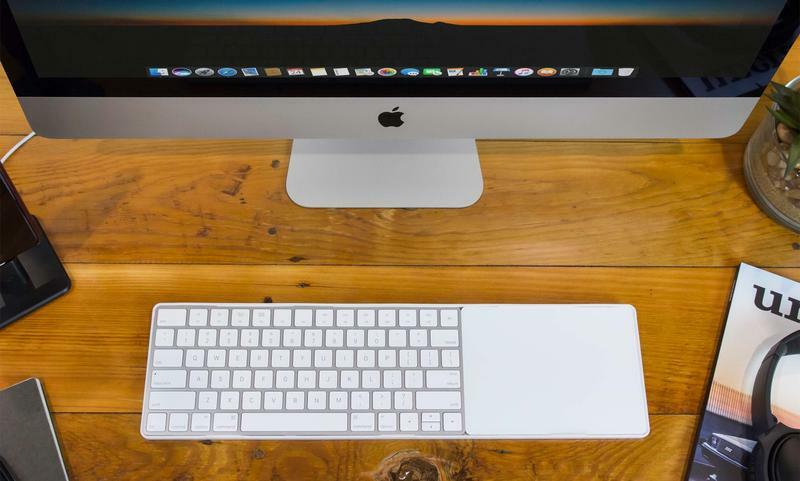 The excellent Twelve South MagicBridge connects your Apple Magic Trackpad to a Magic Keyboard to keep them neat and tidy on your desk. You can place your trackpad on either side of the keyboard to suit you. And you’ll still have easy access to all Lightning ports and power switches. Get yours now on Amazon for just $24.99 — the lowest price so far — after a $10 discount. 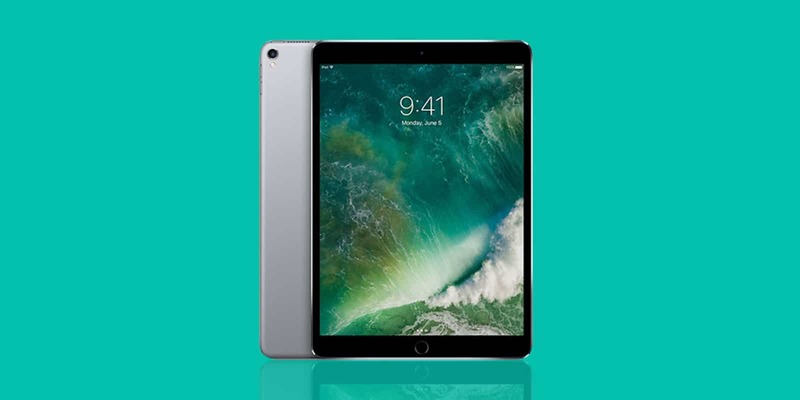 Pick up an iPad mini 4 at a massive discount by buying refurbished from Woot. These space gray models offer 128GB of storage and cellular connectivity for just $299.99. You also get a snappy A8 processor, a FaceTime HD camera, and Touch ID. This sale has just nine hours left to run but will end earlier if all stock sells out. Claim yours now to avoid missing out. Now that Apple’s newest iPads are lining store shelves, it’s a great time to buy a 2017 10.5-inch iPad Pro. Best Buy is offering up to $430 off some models. You can get yours with 64GB of storage and Wi-Fi for as little as $549.99. 256GB models are down to $599.99, while the 512GB model is now just $699.99. Cellular models are also available for as low as $529.99 with a two-year data contract. All models come with three months of free Apple Music for new subscribers. B&H Photo has also knocked $150 off the latest MacBook Air. You can get yours with an Intel Core i5 processor clocked at 1.6GHz, 16GB of RAM and a 526GB SSD for just $1,449.99 — down from $1,599.99. Silver and space gray models are currently available at this price, while the gold model is $100 less than usual. Go and bag yours before the discount ends. 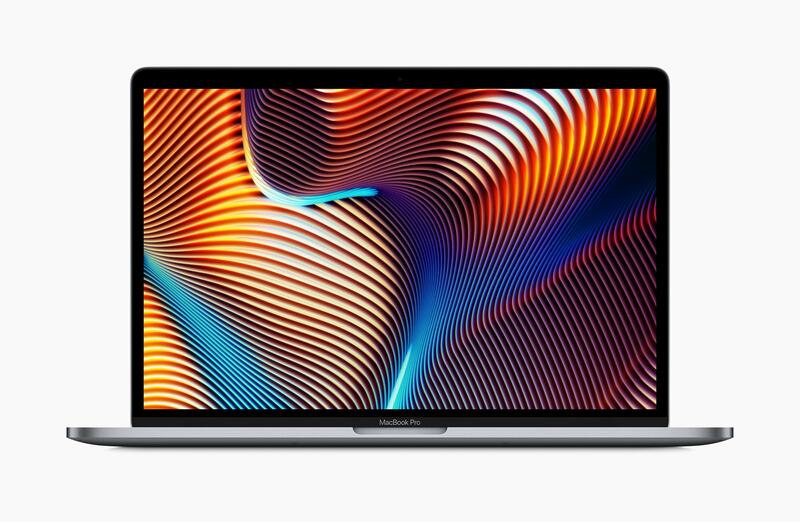 B&H Photo has slashed $600 off the newest 12-inch MacBook. You can now pick up the rose gold model with an Intel Core i5 processor, 8GB of RAM, and a 512GB SSD for just $999 — down from $1,599. This is a limited-time discount — one of the biggest we’ve seen so far on this model — so it will disappear before too long. Go take advantage of it while you can. Amazon is known for making quality, affordable products. 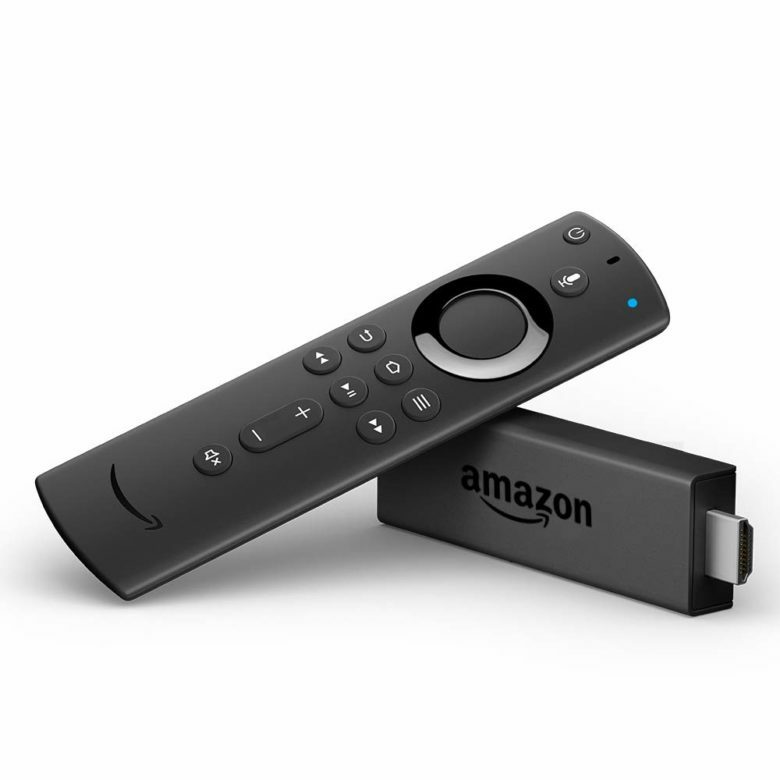 Get your hands on the Amazon Fire TV stick for a cool 25 percent off. Watch favorites from Netflix, Prime Video, Hulu, STARZ, SHOWTIME, and more. 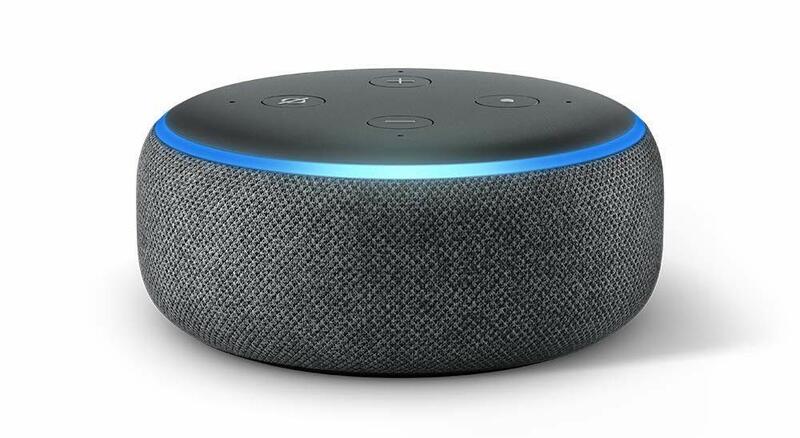 You can also launch and control content with the Alexa Voice Remote. Amazon Prime members get unlimited access to thousands of movies and TV episodes, plus ad-free listening to millions of songs with Prime Music. Regularly $40, get it now for just $29.99. This year do your spring cleaning with style and ease thanks to this Dyson bagless vacuum cleaner. It offers improved steering and maneuverability for accessing corners and areas under furniture. The cleaner head also automatically adjusts between hard floors and carpets for optimal suction. Over 150 Best Buy customers gave it 4.6/5 stars. It usually goes for $600, but get it today for just $299.99. 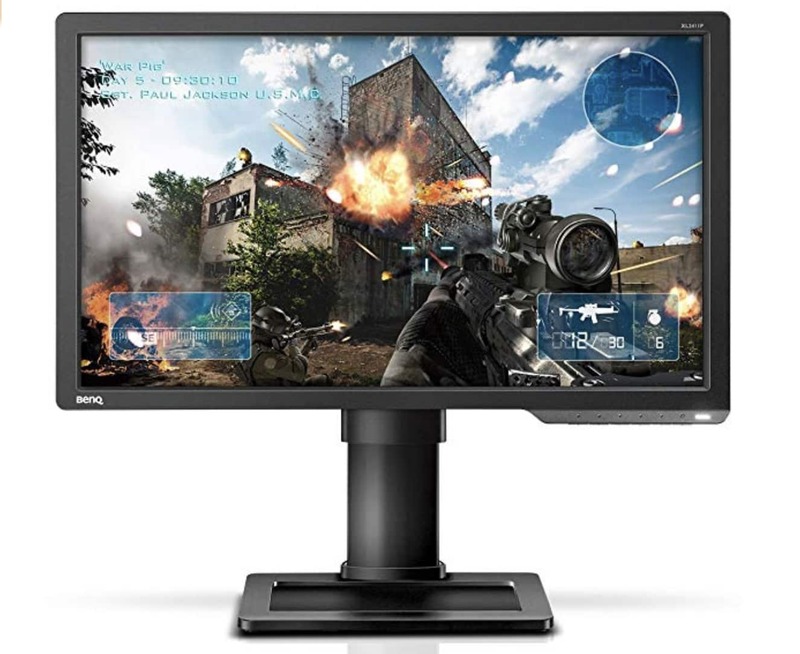 If you game on your Mac and other devices, upgrade your setup with the BenQ Zowie gaming monitor. This 24-inch screen offers a 144Hz refresh, a super-speedy 1ms response time, DisplayPort connectivity, HDMI and more. It promises a lag-free experience without ghosting and great picture quality. 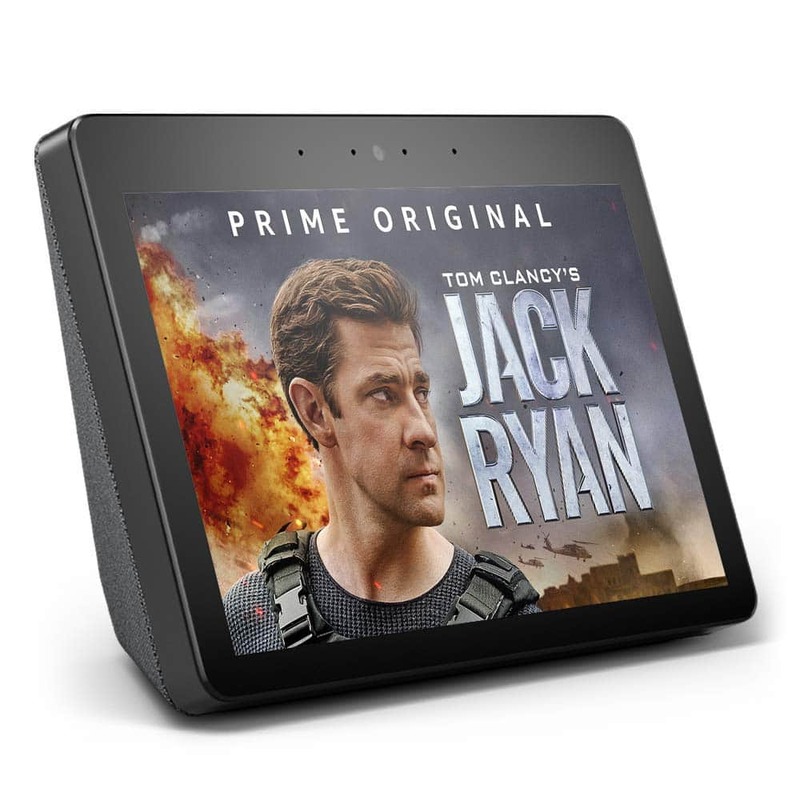 Get yours today from Amazon for just $199.99 — $49.01 off the usual price. B&H Photo is now offering $50 off the latest Mac mini — one of the biggest discounts we’ve seen so far on Apple’s smallest desktop. That means you’ll pay just $749 for the entry-level model with an Intel Core i3 processor, 8GB of RAM, and 128GB of storage. The same model sells for $799 on Apple.com. It’s unclear how long this deal will last, so claim yours before it’s too late. Best Buy has knocked up to $500 off the 13-inch MacBook Pro. That means you can get yours for as little as $899.99 for a limited time. This is the latest model with an Intel Core i5 processor and 8GB of RAM. The price above applies to the 128GB storage option, but 256GB is available for just $999.99 — down from $1,499.99. Get yours today before the price goes back up. 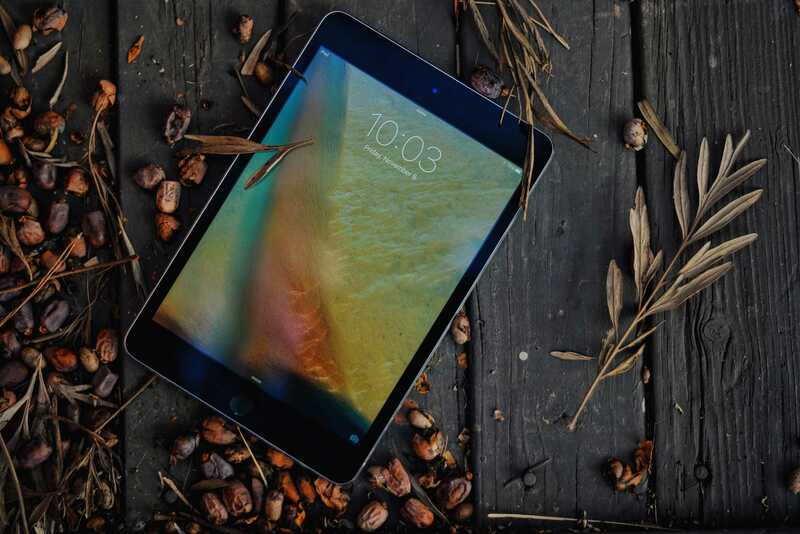 Amazon is already slashing prices on Apple’s newest iPad Air. The entry-level model with 64GB of storage and Wi-Fi connectivity is now available for $479 in all color options. That’s $20 less than you’ll pay in the Apple Store. 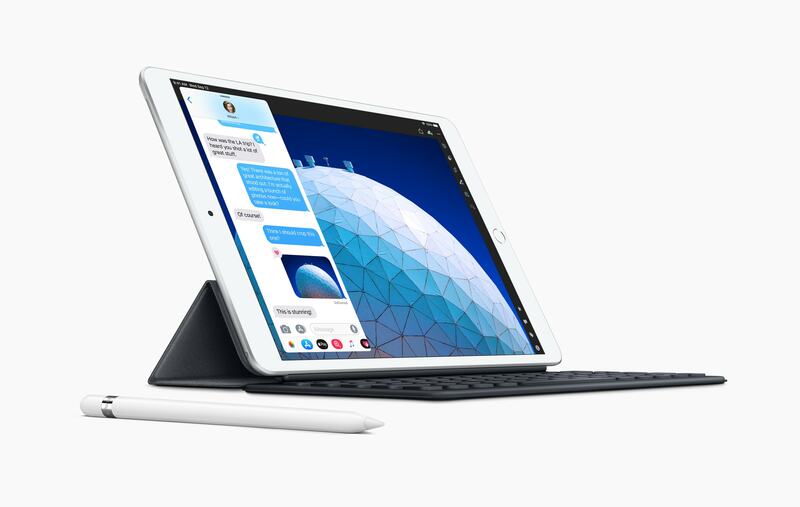 The new iPad Air boasts Apple’s latest A12 processor, a 10.5-inch display with True Tone support, and up to 10 hours of battery life in between charges. Order yours now for same-day or next-day delivery. You can now bag Apple’s smallest and most affordable desktop for even less. 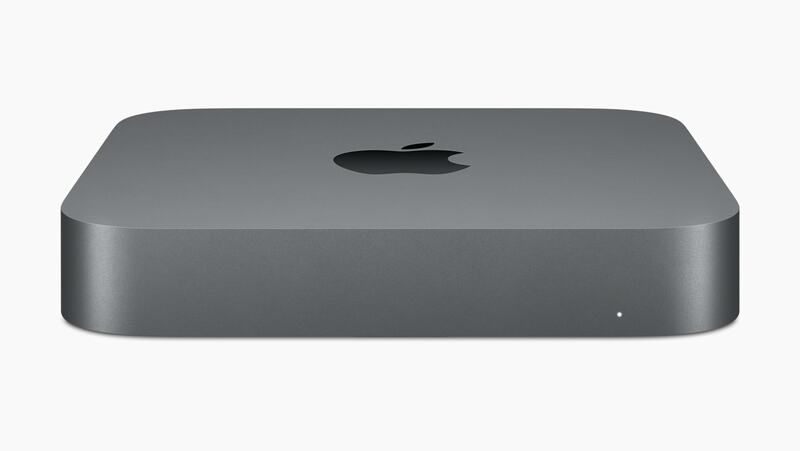 B&H Photo has been slashing prices on the 2014 Mac mini, which means you can save up to $370 on yours. Prices start at just $379 (down from $499) for the 1.4GHz Intel Core i5 model with 4GB of RAM and a 500GB hard drive. But for just $629 (down from $999), you can get a 2.8GHz Intel Core i5 with 8GB of RAM and a 1TB Fusion Drive. Best Buy warns that a “limited supply” is available at this price. Go claim yours before it’s too late! 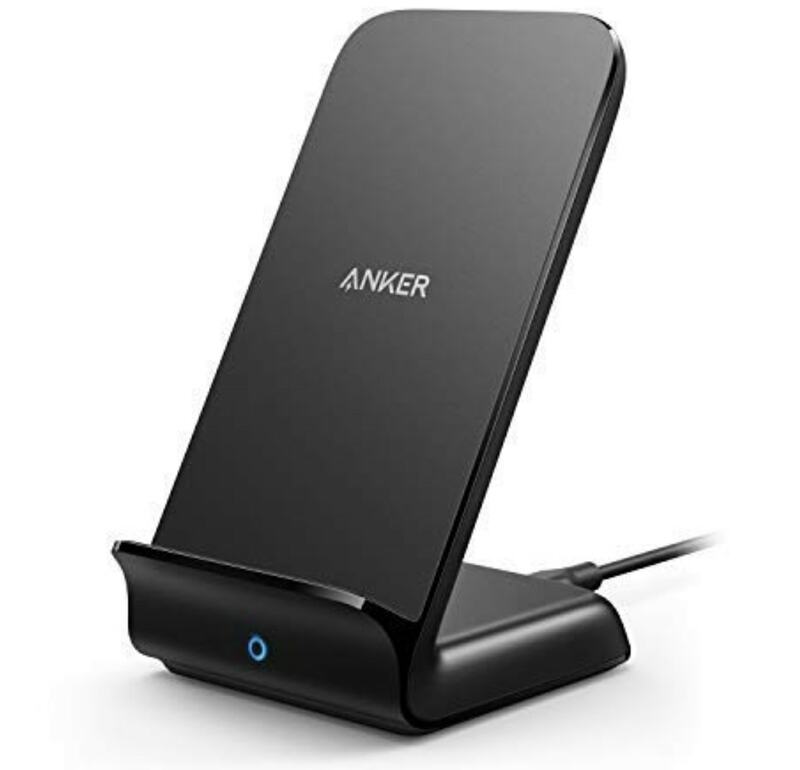 Anker’s excellent fast wireless charging stand for iPhone is now just $22.99 on Amazon — 23% off its usual price. Get yours today in black or white to save $7. Best Buy is also offering a generous $450 off the latest 12-inch MacBook today. Prices start at just $849.99 — down from $1,299.99 — for the entry-level model with an Intel Core m3 processor, 8GB of RAM, and a 256GB SSD. The more beefy Intel Core i5 model with 8GB of RAM and a 512GB SSD is now just $1,149.99 — down from $1,599.99. Both models come with three months of free Apple Music for new subscribers. Go claim yours before this offer ends. 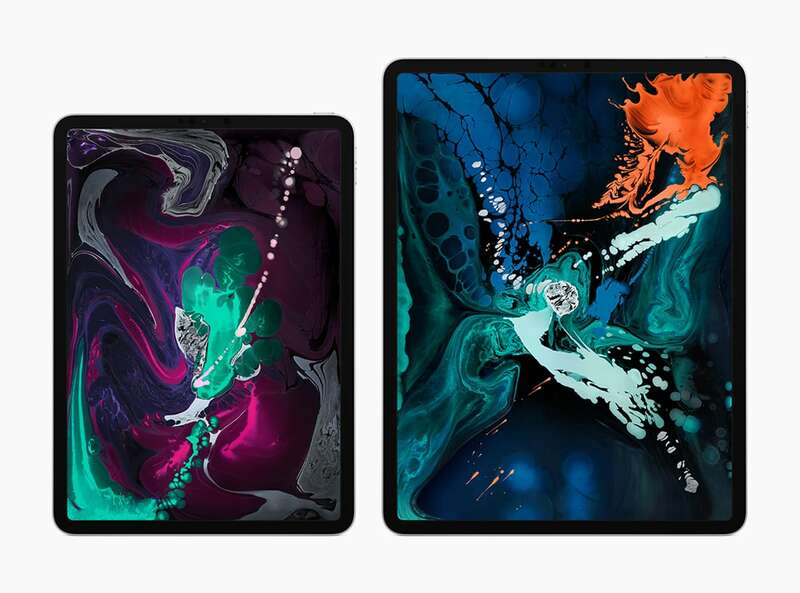 Amazon and Best Buy are now offering some of the biggest discounts we’ve seen so far on Apple’s latest iPad Pro lineup. 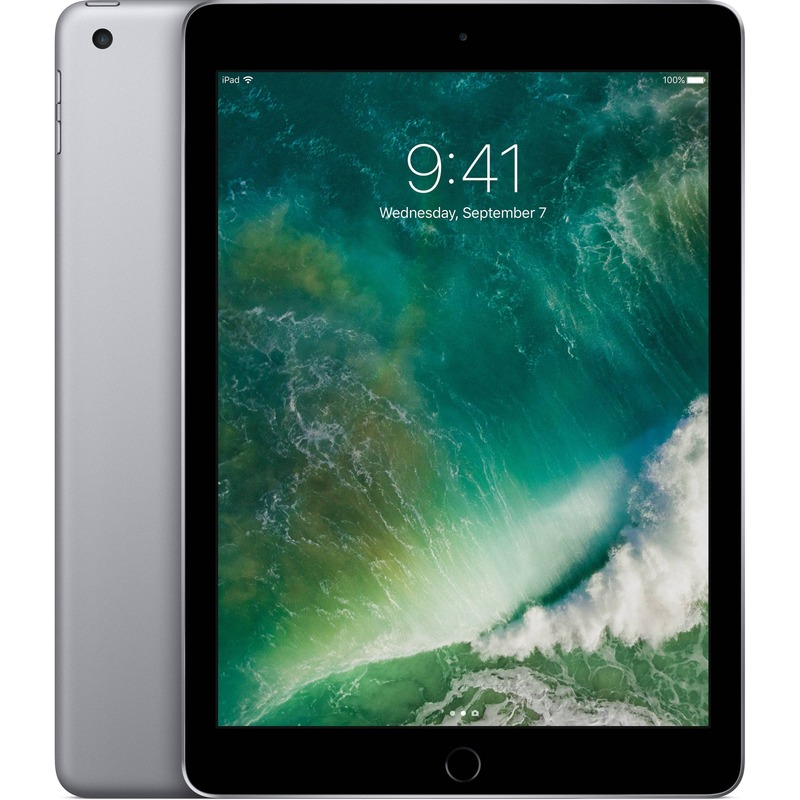 You can get the 11-inch model with 64GB of storage and Wi-Fi for just $674.99 — down from $799.99 — at Best Buy. The 256GB model is down to $799.99 and the 512GB model is down to $949.99. If you opt for the 12.9-inch model with Wi-Fi, you’ll pay $849.99 for 64GB of storage, $999.99 for 256GB of storage, and $1,149.99 for 512GB of storage. That’s $200 off the usual price! You will also save up to $200 on cellular models at Best Buy. Amazon is offering similar discounts on many models, but in almost all cases, Best Buy’s are slightly better. The latter also has a bigger range on sale. 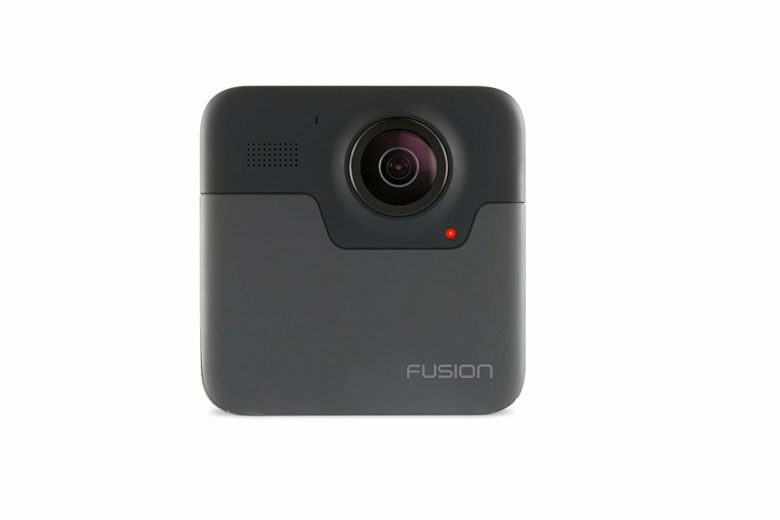 Record your epic summer adventures with this top-of-the-line VR GoPro camera. It’s spherical lens records 5.2K videos and captures 18MP photos from every direction simultaneously. Play these videos in VR for a more lively experience. You can also crop these spherical videos and photos into traditional ones right on your iPhone. They typically go for $500, save $100 instantly and get it for only $399.99. Consolidate all of your remotes into one mega universal smart remote by One For All. This reasonably priced remote is easy to set up and use. It has quick-access keys for Amazon Prime, YouTube, and Netflix. You can also use the One For All app to ring the remote in case you misplace it. 60 Best Buy customers gave it 4.3/5 stars. Normally it goes for $60, get it now for just $29.99. 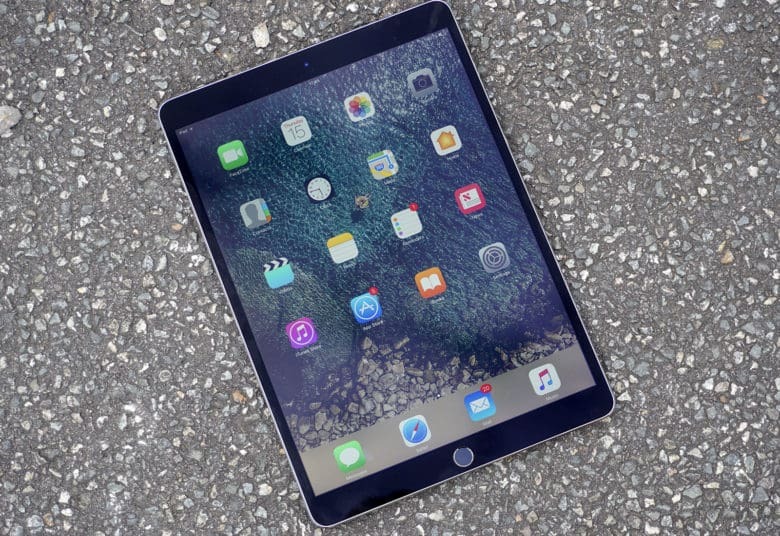 Best Buy is also offering big discounts on the latest 9.7-inch iPad. You can save up to $75 on the 128GB model with Wi-Fi connectivity, and $50 on the 32GB model. Prices start at just $279.99 with three months of free Apple Music for new subscribers. That’s a great deal for what is already one of the best deals in tech. Best Buy has slashed $200 off the iPhone X as part of its latest Apple Shopping Event. You can get yours for just $699.99 when you activate it today on AT&T, Sprint, or Verizon. Order yours now before the discount ends and enjoy three months of free Apple Music if you’re a new subscriber. If you already have a spectacular speaker, but it isn’t smart, add the Amazon Echo Input. This tiny puck brings Alexa and its more than 50,000 skills to any external speaker via Bluetooth or a 3.5mm audio jack. It’s rare that you’ll stumble across discounts on the Apple Watch Series 4 right now, but for a limited time, Amazon has up to $50 off a variety of different models. Prices start at $384 for a 40mm model with GPS, or $414 for the larger 44mm model. However, the biggest savings are on the pricier cellular models, such as the 44mm model with a stainless steel case, which is down to $849. Follow the link below to find out how much you could save on the model you want. B&H Photo has matched Amazon’s earlier deal on Beats Studio3 wireless headphones, giving you another opportunity to get yours for $70 less. Studio3 cans offer pure adaptive noise-cancelling technology, a built-in microphone for taking calls, and integrated controls for Siri. They also promise excellent sound with booming bass. A range of color options are now available for just $279.95 — down from $349.95. Orders yours now to have them shipped on Monday. Claim yours now before the price goes back up! Get yours with 512GB of storage and Wi-Fi connectivity for just $749 — down from $1,149. Or, add cellular connectivity and pay just $799 — down from $1,279. You will also find $380 off the 256GB model with LTE, and $300 off the 64GB model with LTE. 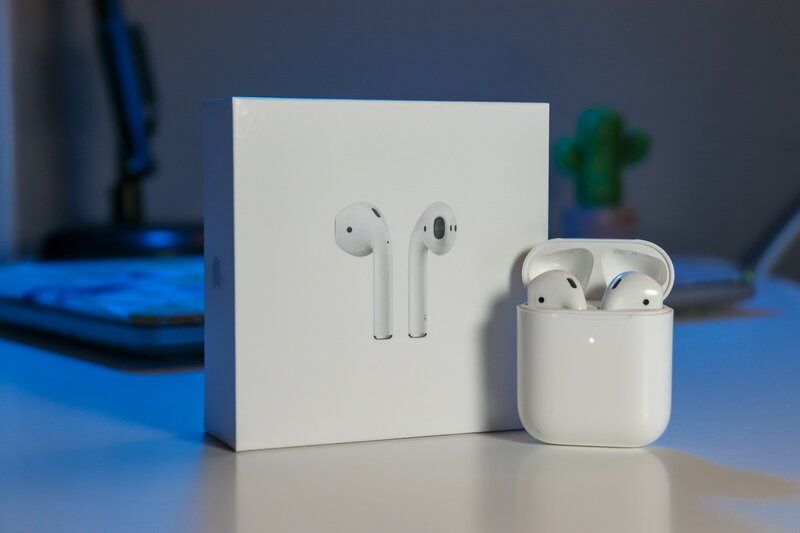 If you haven’t already ordered a pair of brand new AirPods, now is the time to treat yourself. Costco is offering a generous discount on the latest models. The standard bundle — with a wired charging case — is available for just $139.99. The same model will cost you $159 at the Apple Store. Shipping will cost you an extra $4.99, but if you pick yours up from your local store, $139.99 is all you’ll pay. This kit covers 6,000 square feet of space with tri-band technology that ensures you don’t lose speed when new devices are added. 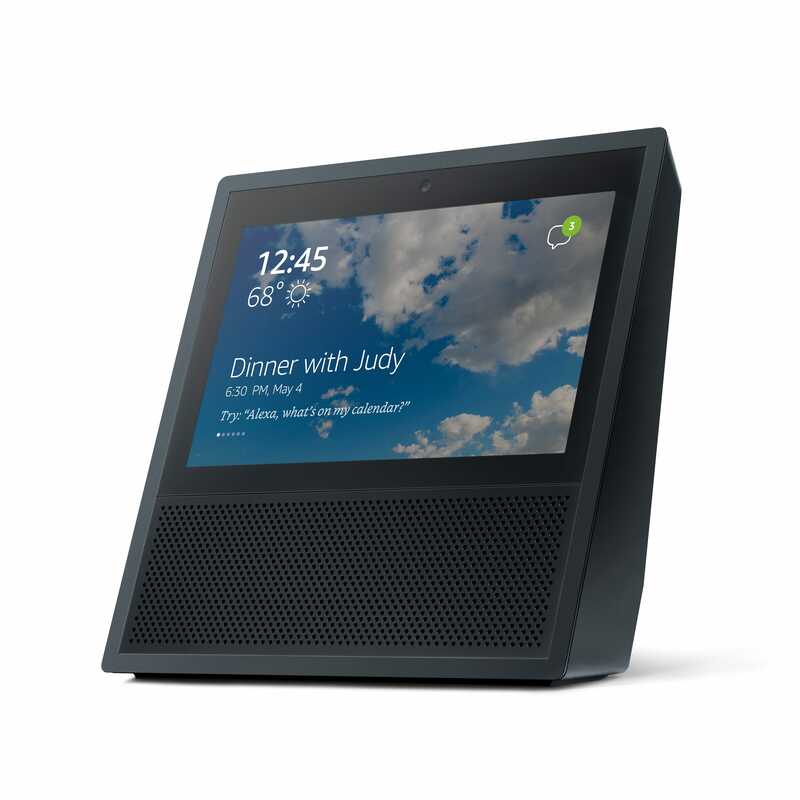 It also supports guest network access and can be controlled using Amazon Alexa. The Orbi three-pack is normally priced at $299.99, but for a limited time, you can buy yours for just $249.99 on Amazon today. Grab yours before the discount ends! Need super-speedy external storage that’s small enough to take anywhere? 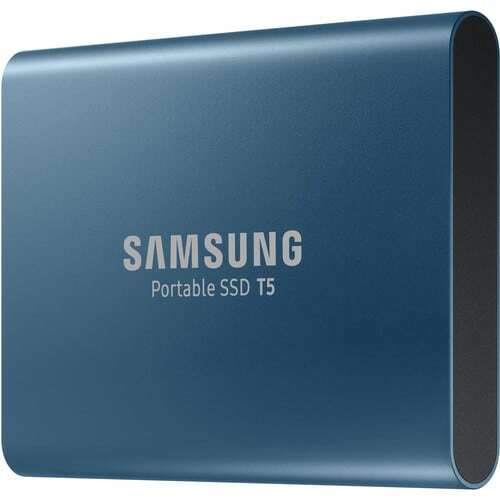 Pick up the Samsung T5 portable SSD on Amazon today and you’ll save up to $152. The 500GB model is now available for just $90.48, down from $129.99, making it around $5 more cheaper than the 256GB model. The 1TB model is now just $197.99, down from $249.99. The biggest discount is on the 2TB model, which is now available for $327.99, down from $479.99. These discounts won’t last long so go take advantage of them before it’s too late! It’s a great time to upgrade to the latest MacBook Pro, with hundreds of dollars off refurbished models at Woot. You can get yours with a 2.3GHz Intel Core i5 processor, 8GB of RAM, and a 256GB SSD for just $1329.99. Or, upgrade to a 512GB SSD for just $1,529.99. That’s a lot less than you’ll pay in the Apple Store, but this sale has just nine hours left to run and will end sooner if all stock sells out. Don’t be disappointed! You can now bag Apple’s smallest and most affordable desktop for even less. B&H Photo has been slashing prices on the 2014 Mac mini, which means you can save up to $470 for today only. Prices start at just $379 (down from $499) for the 1.4GHz Intel Core i5 model with 4GB of RAM and a 500GB hard drive. But for just $529 (down from $999), you can get a 2.8GHz Intel Core i5 with 8GB of RAM and a 1TB Fusion Drive. These are Deal Zone discounts that end in just over eight hours. Every MacBook owner needs a decent USB-C hub. 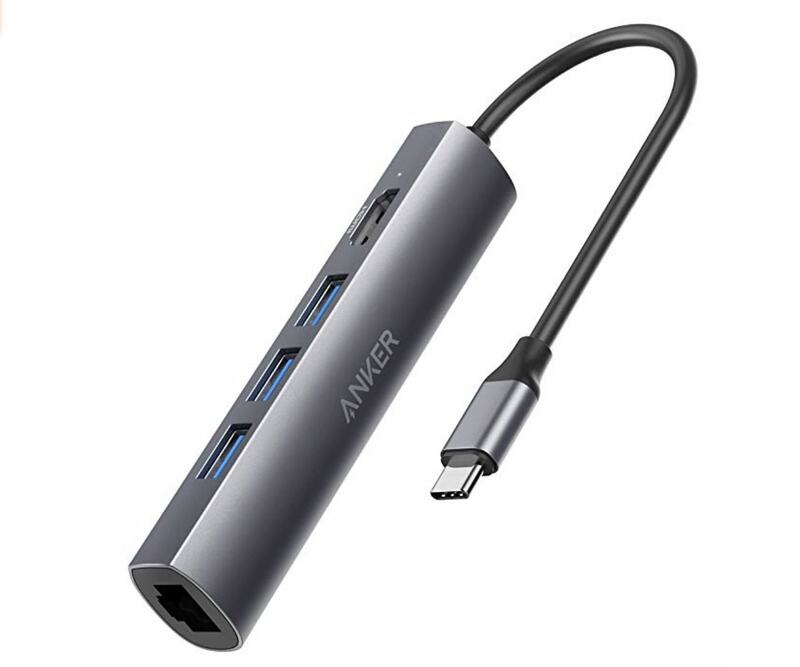 Anker’s 5-in-1 solution offers a few of the most important ones in an incredibly affordable package. You get three USB-A ports, an Ethernet port, and HDMI connectivity with support for 4K displays for just $39.99. That’s $15 off the usual price. Plus, you can use the coupon on the page to save an extra 10%. Refurbished iPad Pros are back with big discounts at Woot. Today’s deal is on the 10.5-inch model from 2017, which is now a mere $429.99 — the lowest price we’ve seen on this model so far. That price gets you 64GB of storage and Wi-Fi connectivity. Gold, rose gold, and space gray models are available for now. This deal is live for 9 hours but it’s likely stock will sell out before then, so don’t wait too long. 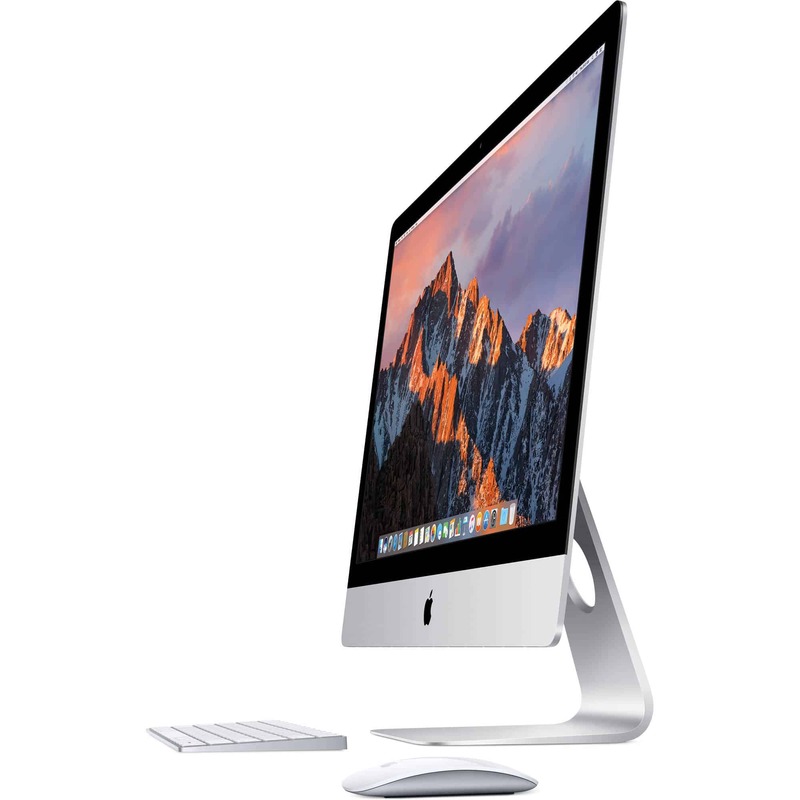 Treat yourself to an Apple all-in-one with up to $400 off the 27-inch iMac with 5K display at B&H Photo. Get an Intel Core i5 clocked at 3.4GHz, 8GB of RAM, a 1TB Fusion Drive, and AMD Radeon Pro 570 graphics with 8GB of memory for just $1,549 — down from $1,799. 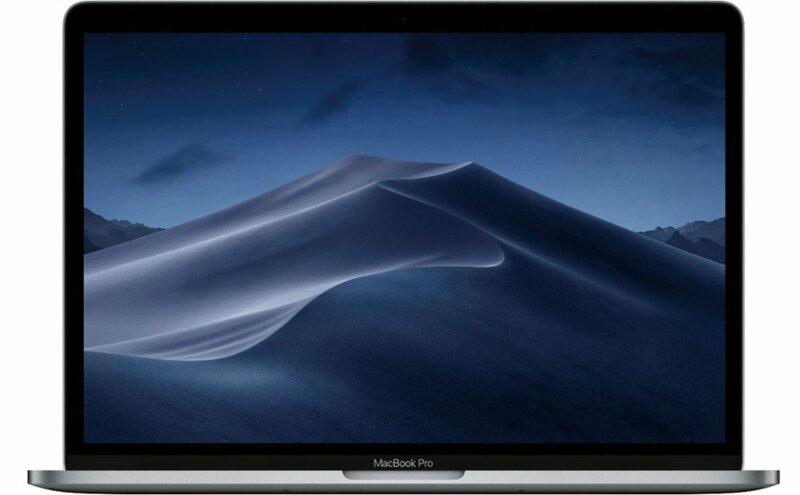 Or, pick up the 3.8GHz Intel Core i5 model with 8GB of RAM, a 2TB Fusion Drive, and Radeon Pro 580 graphics with 4GB of memory for $1,899 — down from $2,299. These deals end at 11:59 p.m. today (April 10), so go take advantage of them before it’s too late. 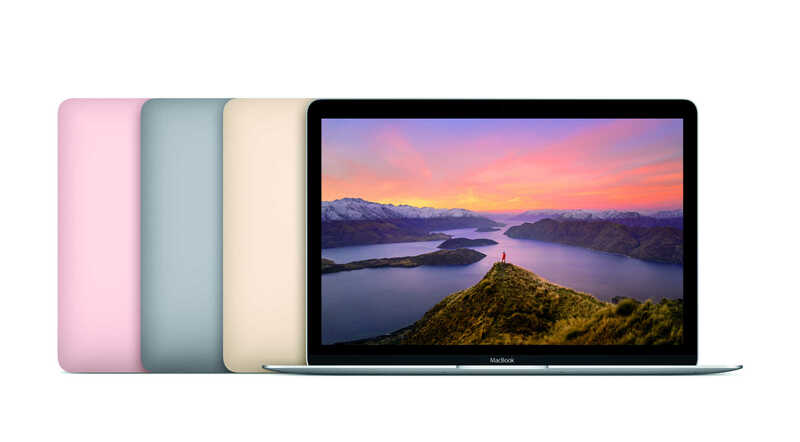 B&H Photo has also slashed $400 off the newest 12-inch MacBook. 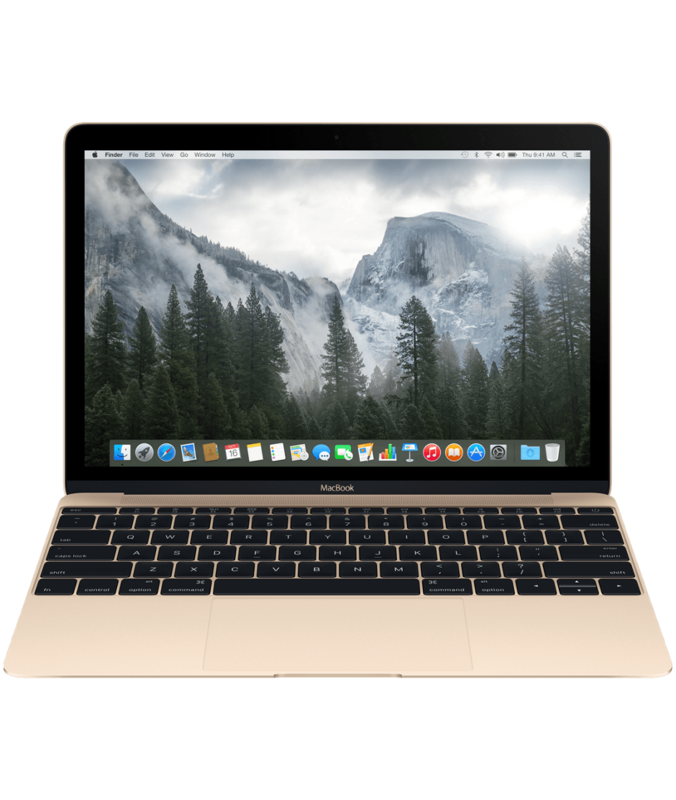 You can now pick up the gold model with an Intel Core i5 processor, 8GB of RAM, and a 512GB SSD for just $1,199 — down from $1,599. Order yours within the next 1 hour and 40 minutes and it’ll ship today. This is a limited-time discount, so it will disappear before too long. 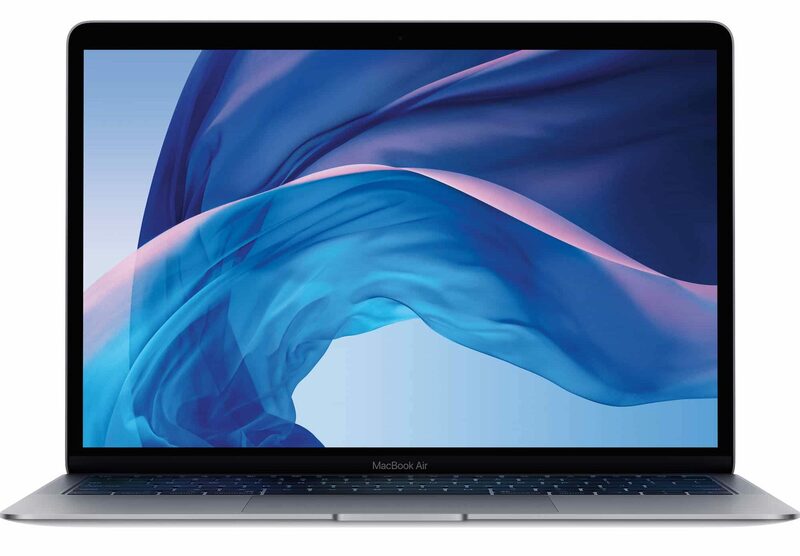 If you’d prefer to pick up the newest MacBook Air instead, you’ll be pleased to know B&H Photo now has $100 off the entry-level model. You can get yours with an Intel Core i5 processor clocked at 1.6GHz, 8GB of RAM and a 128GB SSD for just $1,099.99 — down from $1,199.99. 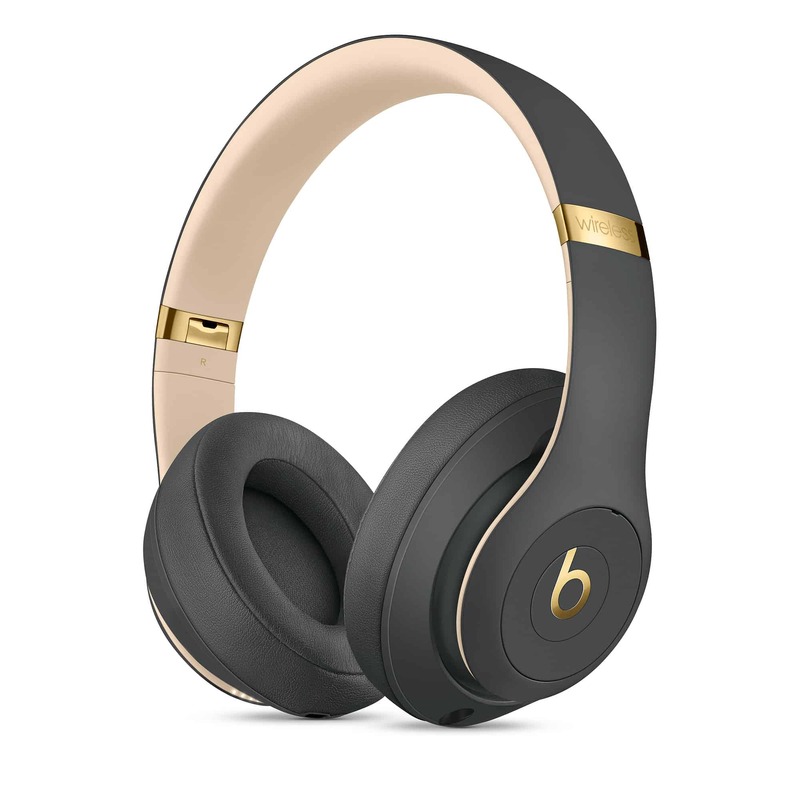 Silver and space gray models are currently available at this price, while the gold model is $80 less than usual. Go and bag yours before the discount ends. Need an ultraportable that will tackle anything you throw at it? 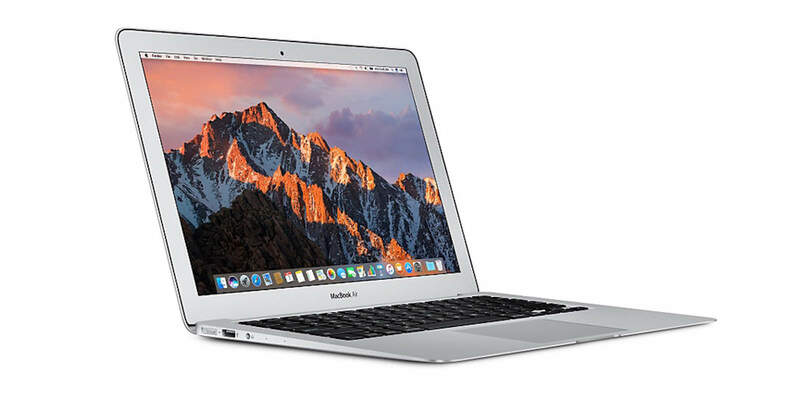 Pick up a maxed-out MacBook Air at B&H Photo and save $450. This mid-2017 model packs a 2.2GHz Intel Core i7 processor with HD Graphics 6000, 8GB of RAM, and a 512GB SSD for $1,099. The same model still sells for $1,549 on Apple.com. Claim yours before the price goes back up. 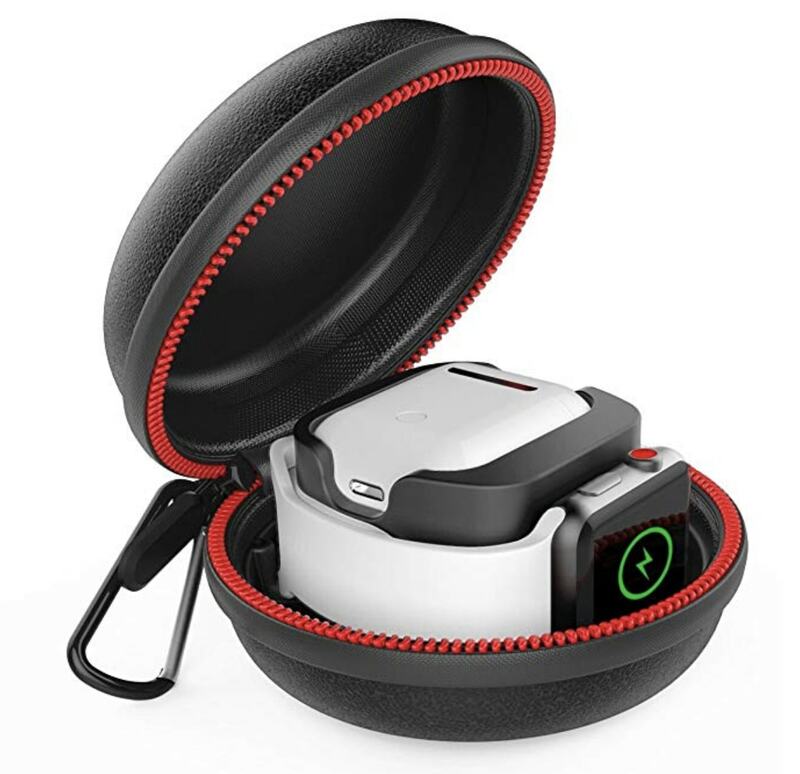 This ingenious Moretek case keeps your Apple Watch and AirPods safe and secure when you’re traveling — and doubles as a handy charging stand. The handy 2-in-1 is compatible with all versions of Apple Watch and boasts an incredibly compact design that can be thrown into any bag. It’s made from durable EVA material that ensures your favorite Apple gadgets are protected, and it keeps everything neatly organized. Order yours today on Amazon and you’ll pay just $7.99. That’s $5 off the usual price. 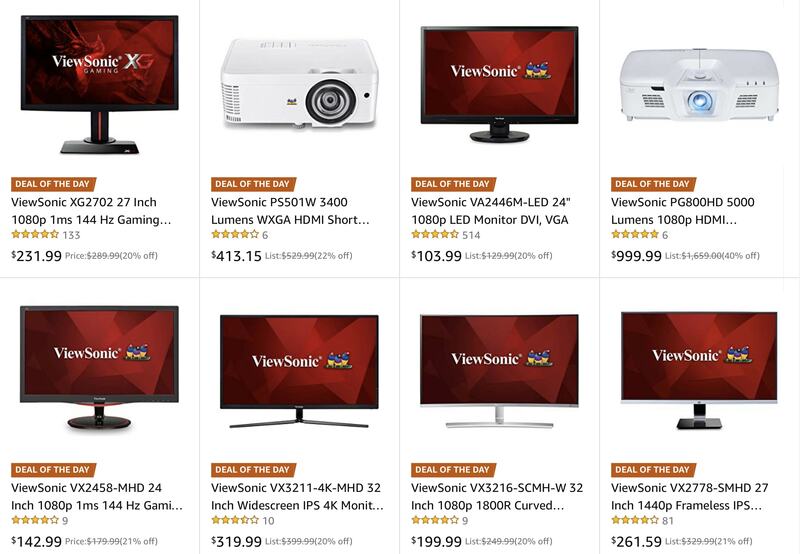 Amazon has slashed up to 40% off ViewSonic monitors and projectors for today only. Prices start at just $103.99 for a 1080p screen measuring 24 inches. A gaming option with a 144Hz refresh rate and 1ms response time is just $142.99. The biggest discount is on the 1080p projector, which is now $999.99 — down from $1,659. It has a 5-star rating and is capable of showing an image at up to 300 inches. Follow the link below to find all the discounts in one place. Take advantage of them today to ensure you don’t miss out! 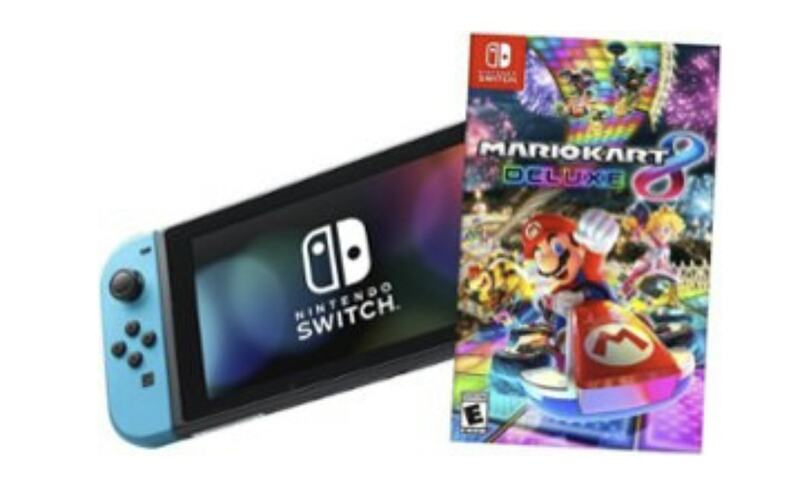 Best Buy has a stellar deal on the Nintendo Switch right now, allowing you to save 50% on some of the platform’s biggest games. Add the console and the game to your cart and your discount will be applied automatically. It’s unclear how long this deal will last, so take advantage of it while you can! 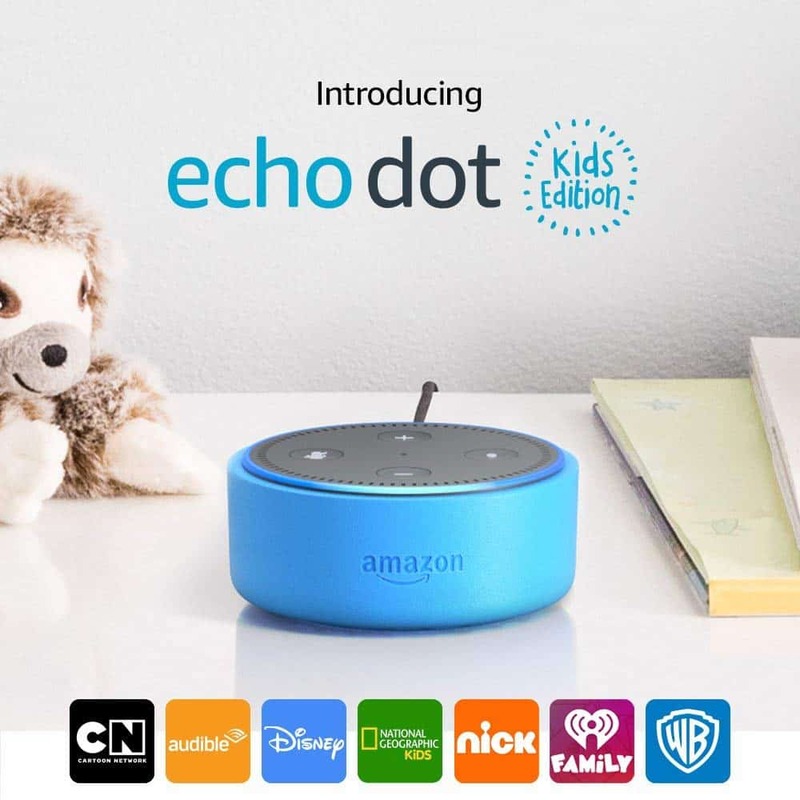 Give your kids the power of Amazon Alexa with a discounted Echo Dot Kids Edition. 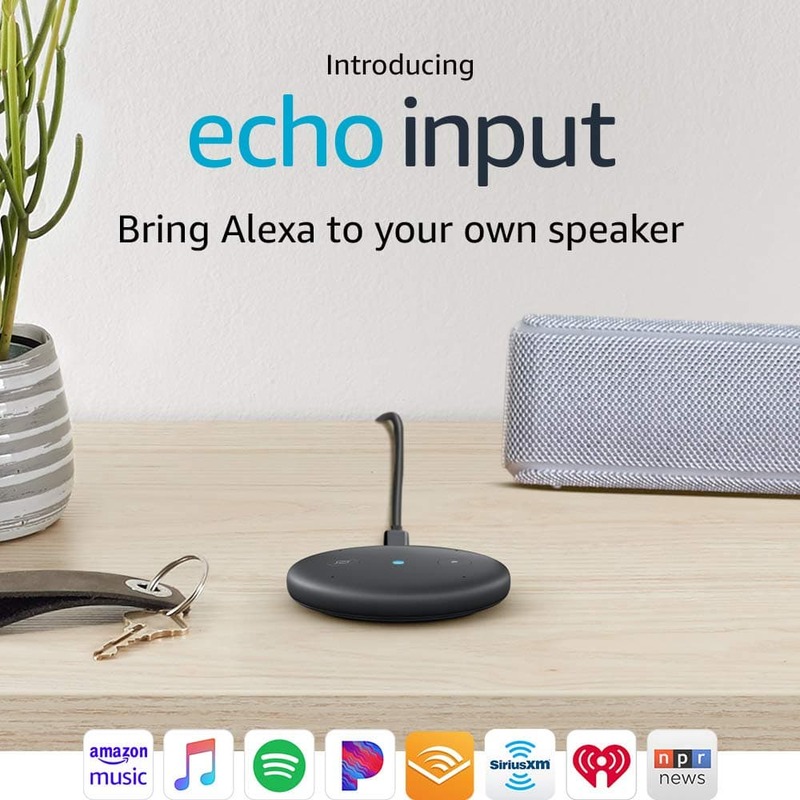 It’s just as powerful as the bigger Echo speaker, with 50,000 skills to take advantage of, but it’s small enough to sit anywhere. 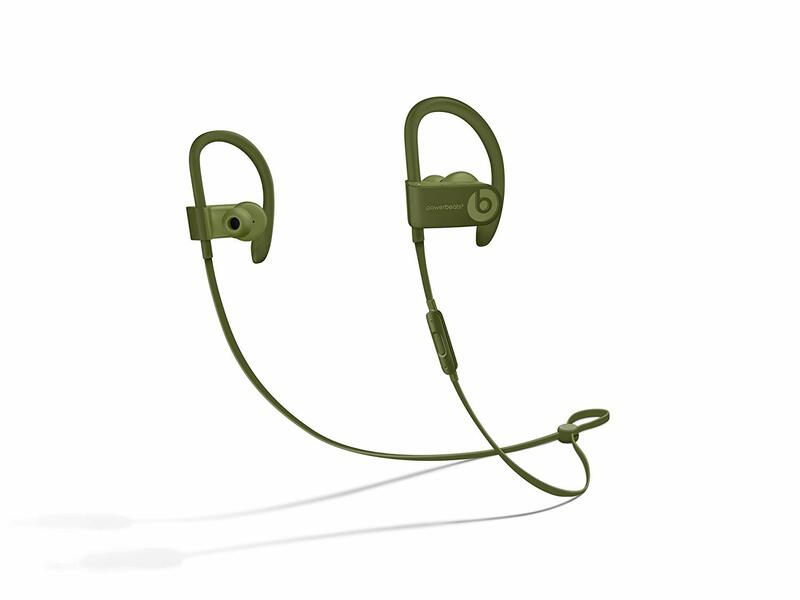 Embrace the bass with Beats wireless headphones and save $75 for a limited time at Best Buy. 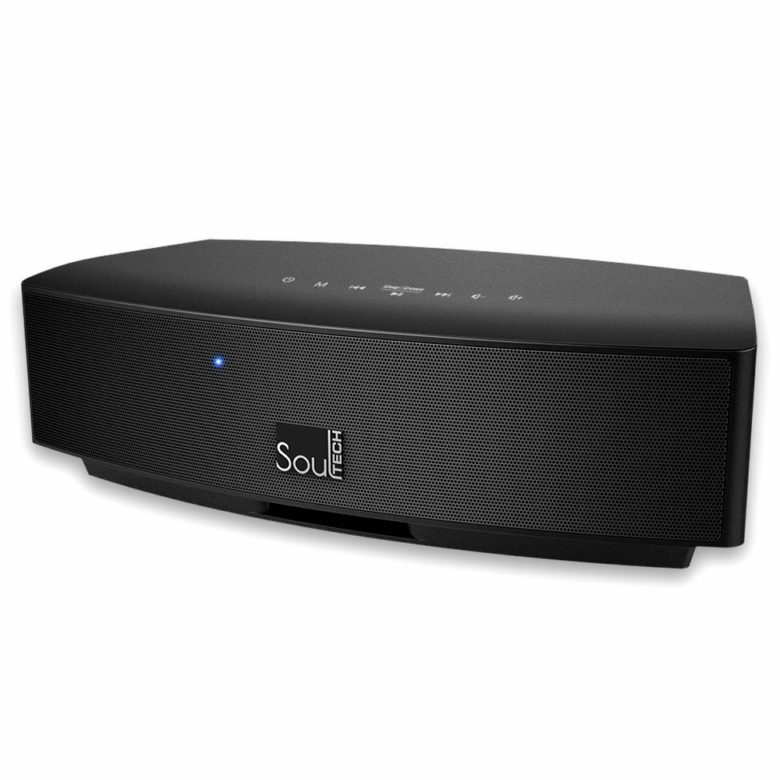 The retailer has slashed Solo3 models to just $224.99 — from $299.99. Studio3 models are down to $279.99 from $349.99. A range of designs and color options are available, including the limited-edition Mickey’s 90th Anniversary and DJ Khaled models. All come with three months of free Apple Music for new subscribers. You’ll pay $699.99 if you choose to activate it later. Best Buy has slashed $300 off select models of the newest MacBook Air for today only. You can get the Intel Core i5 model with 8GB of RAM and 128GB of storage for just $949 — down from $1,199. Or, pick up the 256GB model for $1,099 — down from $1,399. 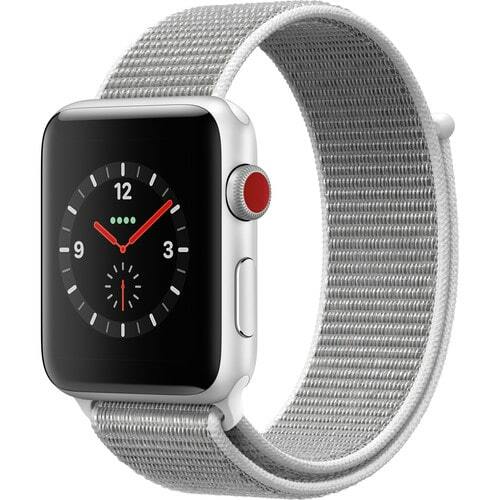 Stand out with a stainless steel Apple Watch Series 3 and save $300 at B&H Photo. 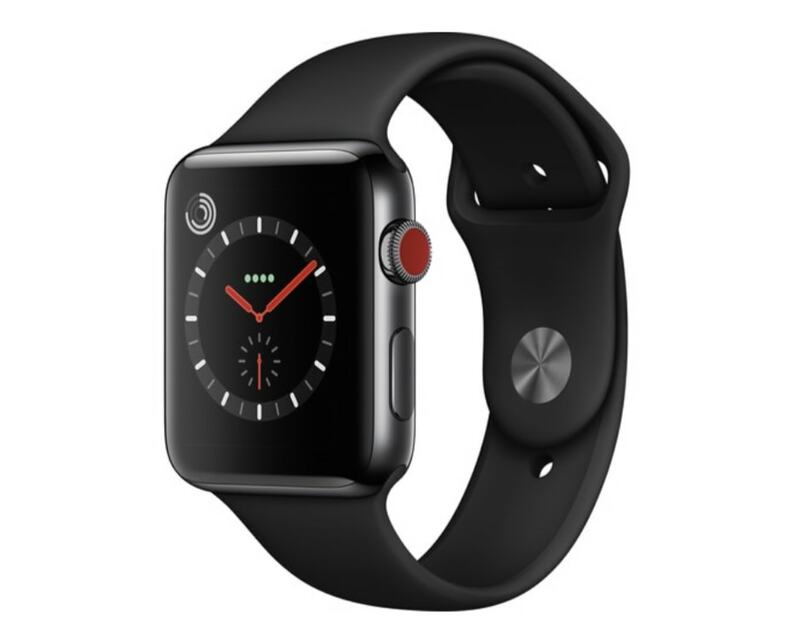 The 42mm model with a space black case, black Sport band, and LTE connectivity is now just $329 — down from $629. B&H Photo warns, however, that a “limited supply” is available at this price, so claim yours before the price returns to normal. Summer is right around the corner and what better way to enjoy the warm weather than staying inside all day and watching television! 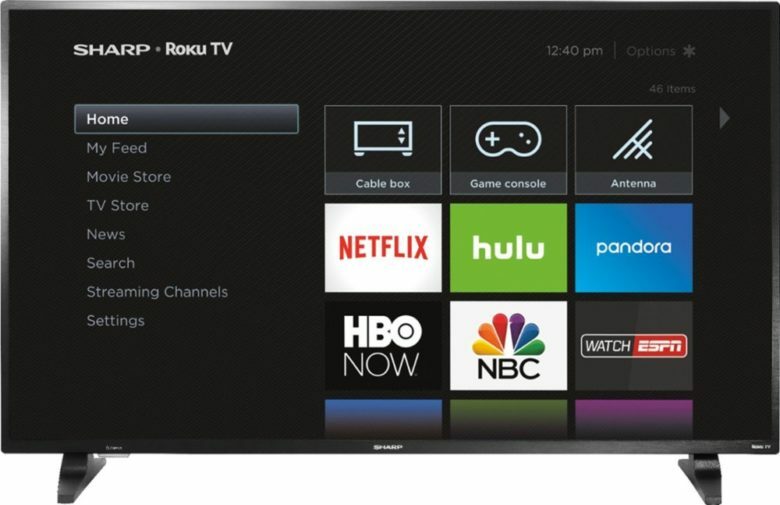 This 50-inch Sharp Roku TV sports an easy-to-use interface that enables versatile control through the included remote and its mobile app. It also has fast Wi-Fi for smooth media streaming and internet browsing. Over 450 Best Buy customers gave it 4.5/5 stars. Normally costing $330, get it today for only $299.99! This highly-rated speaker is on sale now for a killer price. It have utilizes two premium full range speakers to create crystal clear highs and balanced mid tunes. Pair to your phone or tablet from up to 30 feet away. Over 100 Amazon customers gave it 4.3/5 stars. They normally run for $150, get it by midnight today for $107.99. 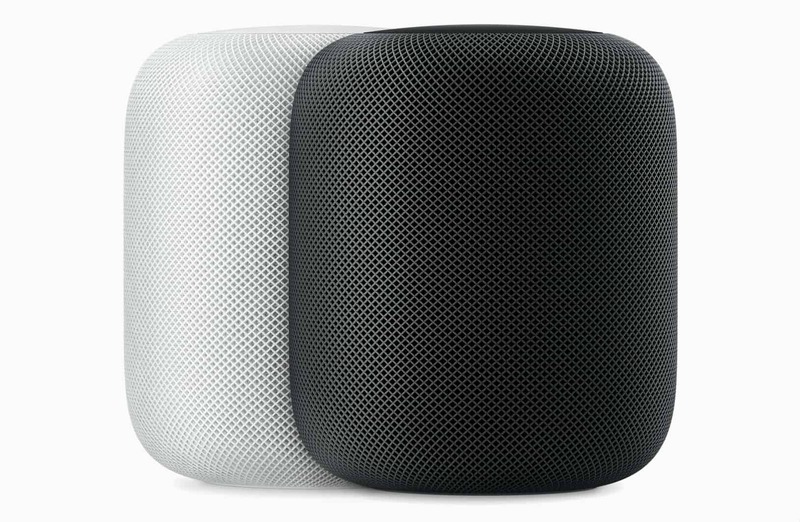 Apple just permanently slashed the price of HomePod to $299, but you can get yours for even less at Best Buy. Brand new models are now available in black or white for just $279.99. Three months of Apple Music is included for new subscribers. We’re unsure how long this deal will last, so take advantage of it before it’s too late. With high-sensitivity drivers that delivery excellent clarity and rich stereo sound, the Anker Soundcore Select is a Bluetooth speaker that will get a party started anywhere. And right now you can get yours for $20 less at Best Buy. You’ll enjoy a lightweight but robust design that’s IPX5-rated for water-resistance — plus Bluetooth 4.0 connectivity with a 66-foot range. You will also get 24 hours of battery on a single charge. Get yours now for just $29.99. 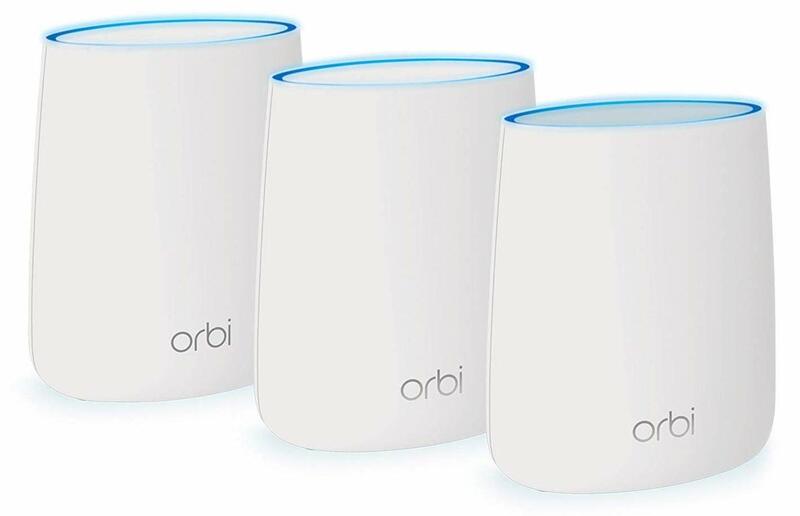 The Orbi three-pack is normally priced at around $400, but for a limited time, you can buy a factory reconditioned setup from Woot for just $219.99. 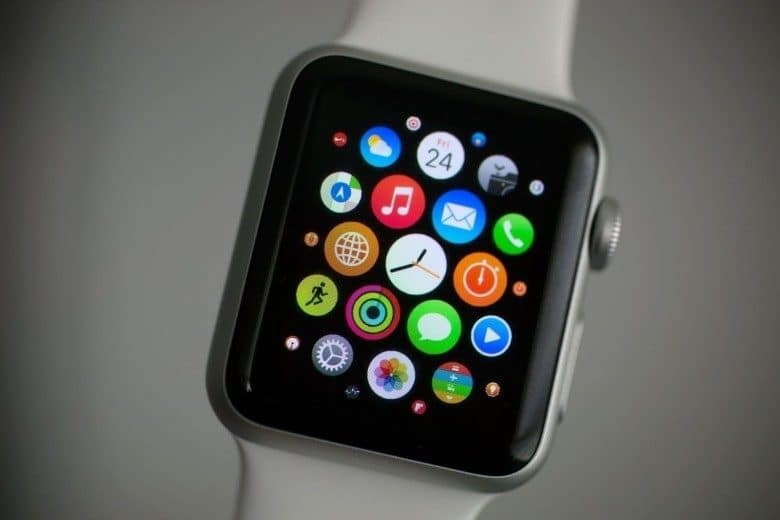 Bag a bargain Apple Watch by picking up a refurbished Series 2 unit at Woot. A number of different 42mm options are available for a mere $149.99 for a limited time. You can opt for the silver model with a white band, the space gray model with a black band, or the gold model with a pink band. All ship with a 90-day Woot warranty. This deal is good for the next 13 hours or until all stock is sold, so claim yours before it’s too late! 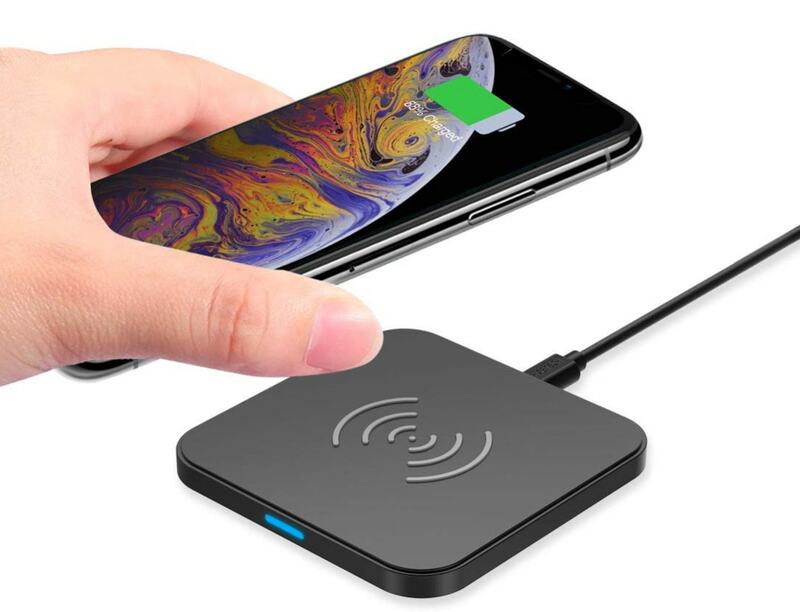 Pick up this excellent wireless charger for your iPhone and pay just $7.31 today on Amazon. 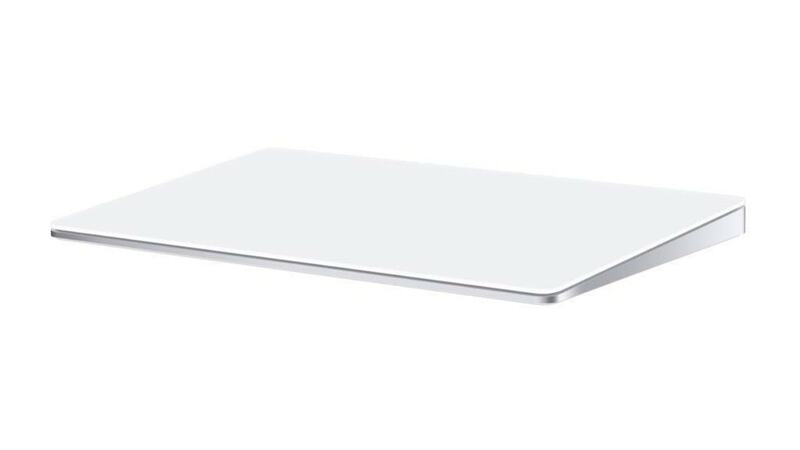 The CHOETECH Qi-certified charging pad is compatible with all of Apple’s latest devices — as well as other gadgets. 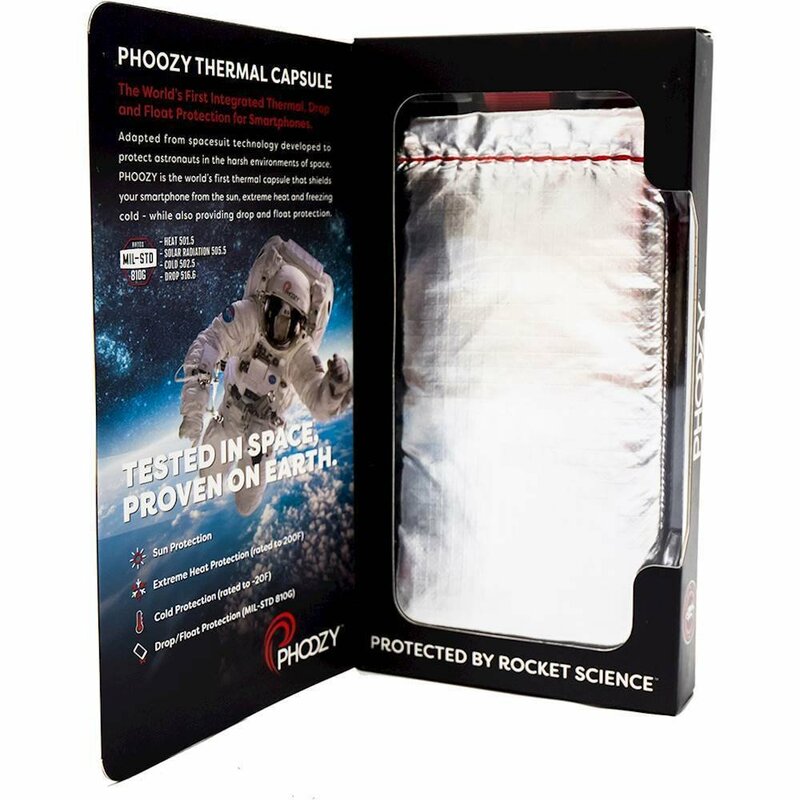 It’s ultra-slim and available in a bunch of different colors, and has built-in safety features that prevent things like overheating and overcharging. This pad has glowing feedback on Amazon and a 4-star rating after more than 5,500 reviews. Get yours now and use the code VYARO3T3 at checkout to reduce the price from $13.99 to just $7.31. 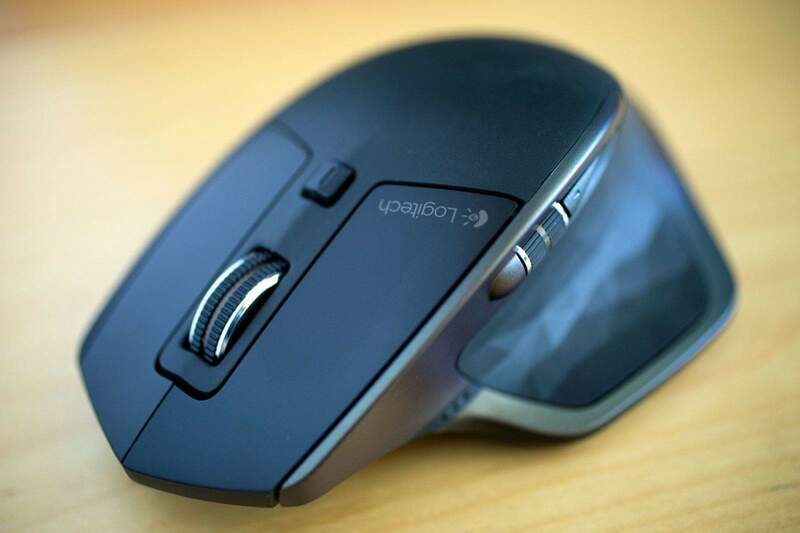 The Logitech MX Master is widely regarded as one of the best wireless mice money can buy. And right now you can get yours for 40 percent off the usual price. TechRabbit has certified-refurbished units available for just $44.99 — down from $99.99. Just follow the link below and then click on the eBay button to bag yours. A limited quantity are available so don’t wait too long! This model features a whopping 2TB of storage, USB-C and USB-A connectivity, and data transfer speeds of up to 540MB per second. It also boasts AES 256-bit encryption and ships with all the cables you’ll need. Get yours today from B&H Photo for just $327.99 — down from $397.99. B&H Photo has slashed up to $480 off the 2017 12.9-inch iPad Pro, allowing you to get one of the biggest and best Apple tablets at a fraction of the usual cost. Prices start at $629 for a 64GB model with LTE connectivity, saving you $300. The 256GB model is down to $699, saving you $380, while the 512GB model is now just $799, down from $1,279. Different color options are available, and all come with a free AVODA tempered glass screen protector worth $19.95. Follow the link below to bag yours before the discount disappears. Need additional storage you can take anywhere? Pick up the WD My Passport Go from Best Buy today and save $30. You get 500GB of SSD storage, super-speedy data transfers over USB 3.0, and a durable design that’s drop-resistant from up to two meters. It also ships with software that can help you backup your machine automatically, ensuring your precious data is never lost. Get yours today only for $79.99 — down from $109.99. 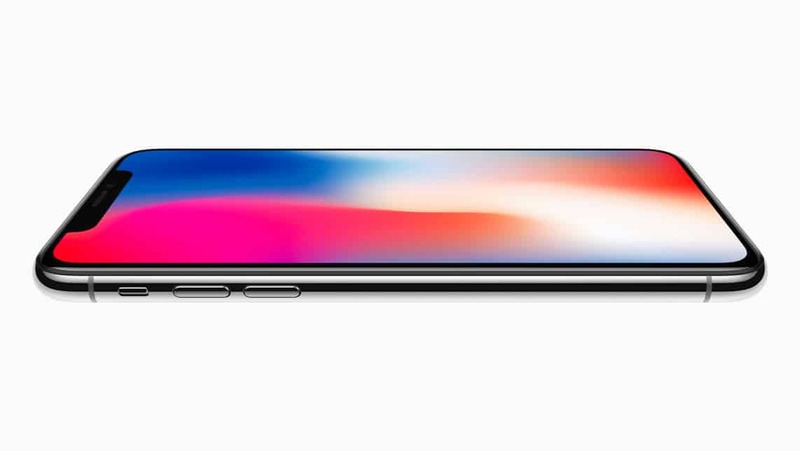 Treat yourself to an iPhone with a stunning edge-to-edge Super Retina display and Face ID for under $650. Woot has refurbished models on sale now for just $649.99 with 32GB of storage, or $699.99 with 256GB of storage. Silver and space gray models are available with GSM connectivity. As these are refurbished units, limited stock is available and this sale is good for the next 10 hours only. Take advantage before it’s too late. The 10.5-inch iPad Pro remains one of Apple’s best tablets. It might be a little older than the new iPad Air, but it does have some advantages, like two extra speakers. It’s also a steal at under $500. Woot has refurbished units available with up to 512GB of storage cellular connectivity for as little as $499.99. They come in space gray with a 90-day Woot warranty. Limited stock is available and there’s only 10 hours left on this sale, so claim yours before it’s too late. 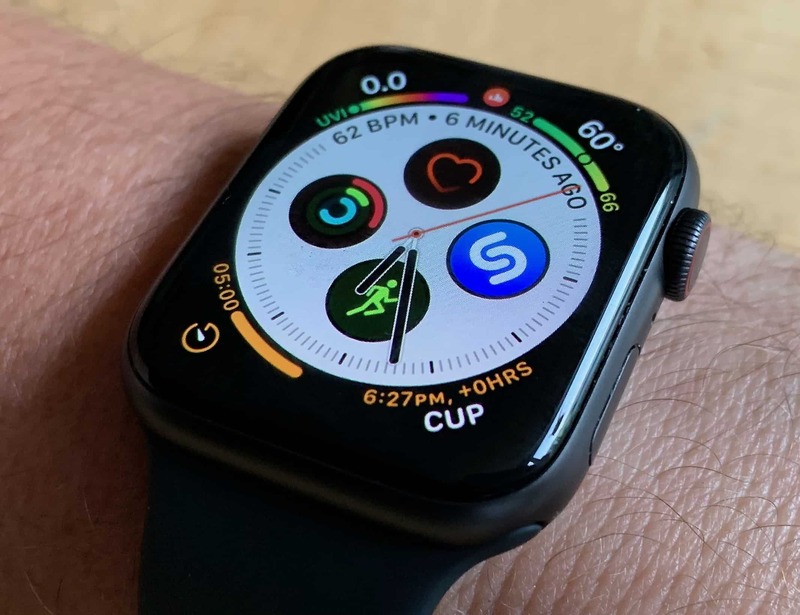 If you want an Apple Watch Series 3 with cellular connectivity, B&H Photo has your back. The 38mm model with a space gray aluminum case and black Nike Sport loop is now just $269. That’s $110 off the usual price! You’ll also get a free AVODA tempered glass screen protector worth $19.99. To celebrate April Fools’ Day, Twelve South is running a site-wide discount that’s no joke. You can save 20 percent on everything for today only when you use the code TRICKSTER at checkout. Twelve South makes some of the finest accessories for Apple devices. 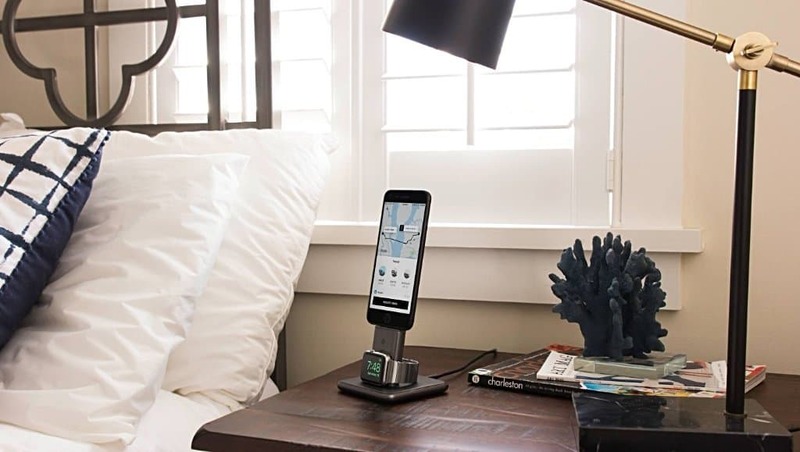 We highly recommend the HiRise Pro, BookArc, PowerPic, and AirFly. But it’s all worth your hard-earned cash — especially when it’s 20 percent cheaper! 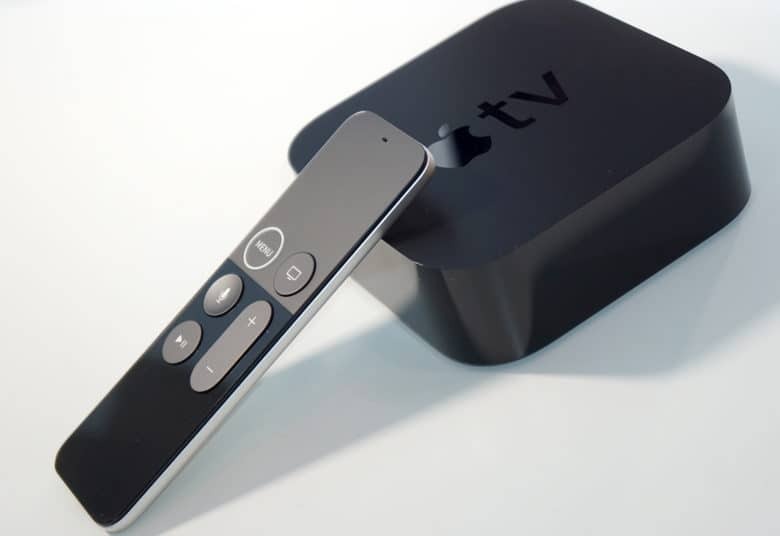 Those who prepay for four months of service will receive Apple’s latest set-top box, worth $179, absolutely free. The offer is only available to new subscribers who join before April 30, 2019. Welcome to Cult of Mac’s Deals & Steals live blog for April 2019, where we’ll bring you a daily roundup of the best offers on Apple devices, accessories, and other awesome tech. Many of the deals we brought to you last month are still live, so be sure to check out March’s live blog to see what you might have missed.